GV provides venture capital funding to bold new companies. In the fields of life science, healthcare, artificial intelligence, robotics, transportation, cyber security, and agriculture, GV's companies aim to improve lives and change industries. GV's team of world-class engineers, designers, physicians, scientists, marketers, and investors work together to provide these startups exceptional support on the road to success. 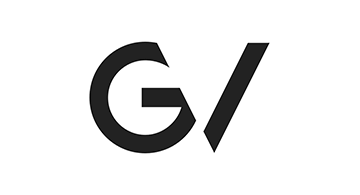 Launched as Google Ventures in 2009, GV is the venture capital arm of Alphabet, Inc. GV helps startups interface with Google, providing unique access to the world’s best technology and talent. GV has $2.4 billion under management. Among its 300 investments are Uber, Nest, Slack, Foundation Medicine, Flatiron Health, and One Medical Group. GV is headquartered in Mountain View, California, with offices in San Francisco, Boston, New York, and London.